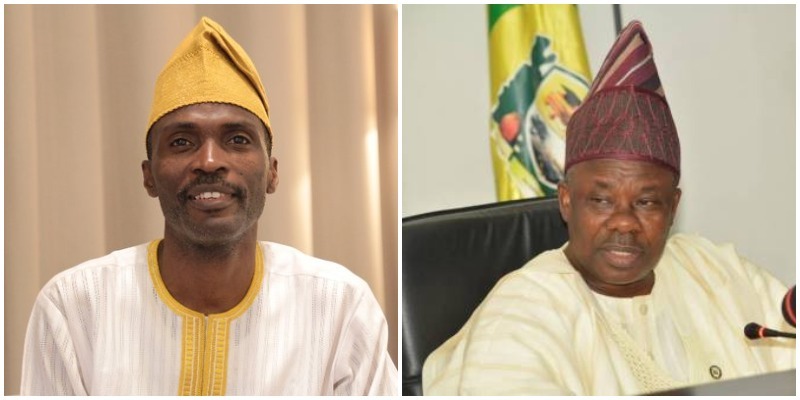 Mr. Kayode Ogundamisi, a member of the Directorate of Media and Strategic Communication of the All Progressives Congress Presidential Campaign Team, has criticised the governor of Ogun State, Ibikunle Amosun, over a Facebook post, he shared concerning the violence that broke out at the rally on Monday. On his verified Twitter handle, Ogundamisi said, “You endangered the lives of all who attended the event and particularly that of President Muhammadu Buhari and that of Vice President Yemi Osinbajo over what really? Violence had broken out at the Abeokuta venue of the APC rally, which saw the National Chairman of the party, Mr. Adams Oshiomhole pelted with stones and sachet water and President Buhari being shielded by security operatives, so he would not be harmed. Taking to his official Facebook page, Amosun shared a post, which detailed the series of events at the rally and what led to the violence. In the post, which he has since deleted, Amosun said, “The crisis rocking the All Progressives Congress in Ogun State boiled over today (Monday) when protests by party members marred the presidential campaign rally as party members booed the National Chairman of the party, Comrade Adams Oshiomhole, former Governor of Osun State, Ogbeni Raufu Aregbesola and Director General of the APC Presidential Campaign, Rotimi Amaechi. “President Buhari, as he did at the presidential rally of the APC in Owerri, Imo State, asked members of the party in the state to vote for any candidate of their choice apart from the presidential election. “Trouble started early in the rally shortly after President Muhammadu Buhari made a triumphant entry into the Moshood Abiola Stadium in company with the Vice President Yemi Oshinbajo, Governor Ibikunle Amosun of Ogun State and other chieftains of the APC. “The Director General of the APC Presidential Campaign Council, Rotimi Amaechi in his opening remarks remarked that the rally was an APC campaign, a note that was received with a resounding shout of “no”, ”no” from the stands. “The protests got louder when the National Chairman of the party, Comrade Adams Oshiomhole came on board and disclosed that his mission was to introduce President Muhammadu Buhari and the governorship candidate of the party. “The disclosure sent the stands into uproar and sachets of water were hauled in the direction of the party chairman where other party chieftains were seated. “Governor Amosun had to step in to appeal to the party members to be calm and not “disgrace” him before President Muhammadu Buhari. His repeated appeals fell on deaf ears and went into a crescendo at the insistence of Comrade Oshiomhole to present the party’s flag to Prince Dapo Abiodun, further infuriated the party members.